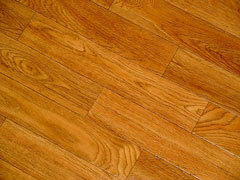 Wood flooring is very popular today because it is attractive, long lasting, and easy to maintain. In addition, wood flooring is an excellent choice for people with allergies because wood does not collect dust and other allergens. Even better, wood floors are affordable, and they maintain their value. Several varieties of wood flooring are available. The most common type is solid wood flooring. This type of flooring can be nailed to a wood subfloor or glued to a concrete subfloor. It can be sanded and refinished several times. Wood flooring comes in various colors and grains, depending upon the type of wood, and it generally changes color over time as it ages. Wood floors can be finished in place, or they can be prefinished. 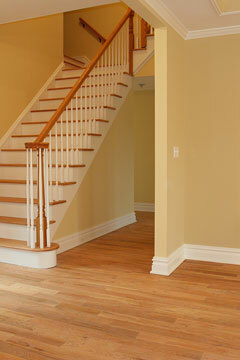 Traditionally, wood floors have been nailed in place, sanded, and then finished. But today's prefinished floors come already sanded and finished, which cuts down on installation time and allows floors to be used immediately. Prefinished floors are available in various thicknesses, allowing them to be installed over existing flooring without raising thresholds. In addition, prefinished floors don't swell and shrink as a result of temperature changes, like traditional wood floors do. However, because of the way it is made, a prefinished floor can only be finished once or twice throughout its lifetime. Other types of wood floors include engineered wood and wood laminate. Engineered wood is made of several layers of different woods or different grades of wood stacked and glued together under heat and pressure. 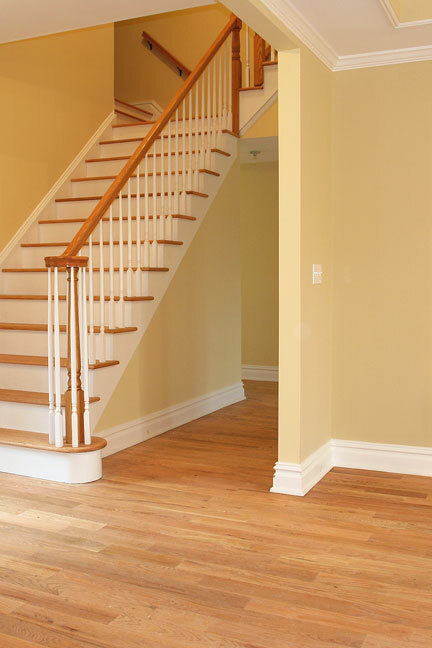 Some engineered wood floors can be sanded and refinished, while others are too thin. 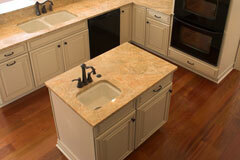 Wood laminates, on the other hand, consist of a plywood base topped with a layer of veneer. While laminate flooring can look amazingly real, in fact, it is really printed paper that is placed on top of fiberboard and then given a coating. To maintain your wood floor, you need to sweep or vacuum it regularly and occasionally use a wood floor cleaner. Because different types of flooring and finishes require different cleaners, check with your floor manufacturer or installer to find out what cleaner they recommend. Bona hardwood floor cleaners and accessories are a well-known brand of floor cleaner. It will also help if you place throw rugs inside and outside your doorways to help prevent debris from being tracked onto your wood floors. Also, attach floor guards to your furniture. These steps will help prevent scuffing and scratching and will keep your floor looking its best longer. For more maintenance tips, see the National Wood Floor Association (NFWA) Wood Floor Maintenance section.